Although the focus of the collection of garbage will be on “white goods” (refrigerators, air conditioners, washers, dryers, appliances), no trash will be left behind. Volunteers wishing to join this effort can sign up by calling 226-2070. You can choose to do an entire day or just a few hours during the clean-up campaign. Organizers have assigned specific areas of the island for each day of the campaign. On day one, November 9th, the San Pedrito Highway, along with the sub-division of San Pedrito will be tackled. This will be followed by San Pablo, Boca Ciega, and San Juan. 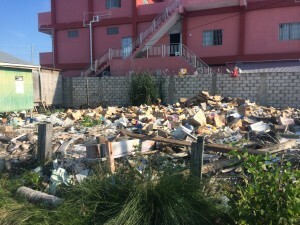 On Saturday, November 10th, the Boca del Rio Area, the Lagoon Area from San Juan to DFC will be cleared of any garbage that may be creating an eyesore in those areas. The next day, the group will move to the areas of Esmeralda, Escalante, Alta Mar and it will end at DFC. On the last day, on Monday, November 12th the group will come together and target San Mateo. This is one of the subdivisions on the island that has been affected tremendously by the issue of garbage. Members of the SP BTIA are not alone on this fight and are counting on the support of every islander, including students, Non-Governmental Organizations and members of local government. For those who do not have the time to join in the collection, cash donations are also being accepted. “We will use the cash donations to hire people at $50/day to help on the weekdays with the clean-up,” explained Sniffin. Businesses can also let their employees give a few hours to the cause, or donations for supplies or snacks for the volunteers each day are being accepted. 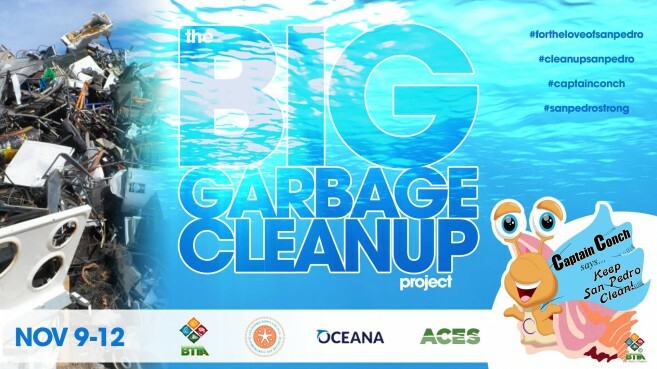 Garbage bags and gloves will be donated by Oceana Belize and vehicles to transport the garbage collected are welcome. The SP BTIA committee once again takes this opportunity to invite everyone to be part of this initiative that will not just benefit the different neighborhoods mentioned above, but the well-being of San Pedro, who is home for all. For the Love of San Pedro, let’s all come out and clean up our Isla Bonita! 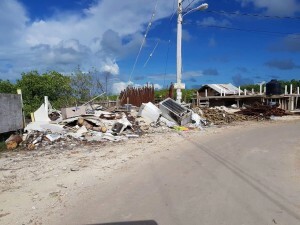 Island's biggest clean up campaign underway: Help still needed!